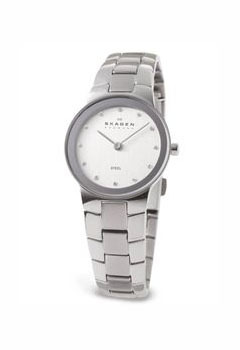 Skagen Ladies watch features a slim stainless steel case and bracelet. Silver dial with silver hands and crystal hour markers. Features Push-button deployment clasp, precise quartz movement and scratch resistant crystal.